When to look at kernel wakelocks: When your 'Held Awake' usage is high, and your Kernel has the bulk of it. In that case, dig into the kernel wakelocks. 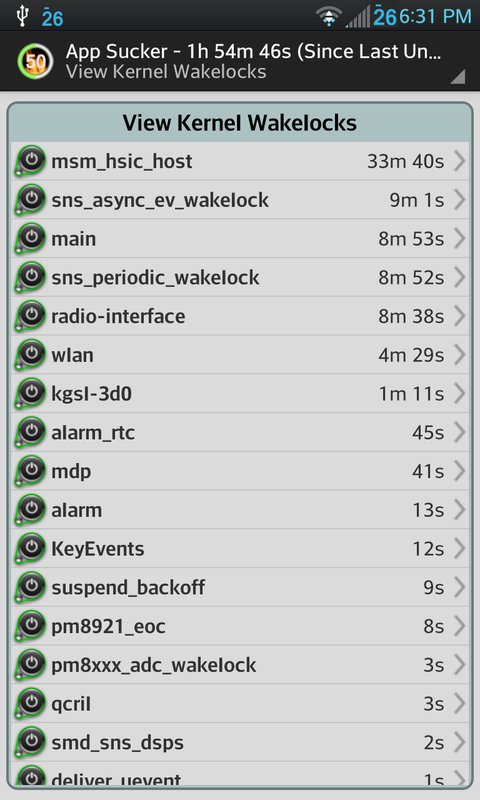 If your normal apps account for most of the Held Awake time, then you can safely ignore the kernel wakelocks. Useful and timely information, as usual. Dear Blogger! Thanks for writing nice, quality and informative content. I love to share it. Useful Blog! I would like to thank for the efforts you have made in writing this post. If any one facing issues with Microsoft Windows 8 then contact Microsoft Windows 8 Support Number.